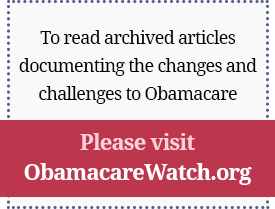 This month, the post-election rollout of the Obama administration’s plans to implement insurance exchanges under the Affordable Care Act (ACA) in time for January 1, 2014 enrollment was met with substantial state government opposition, more questions than answers, and warning signs of a train wreck ahead. A clear majority of states (32) are not fully on board with running their own ACA-compliant exchanges. At least 20 of those states would rather leave the daunting implementation process entirely in the hands of federal officials. This strong state resistance to enlisting as junior partners, or sorcerer’s apprentices, in building the key regulatory architecture for Obamacare’s plans to expand subsidized health insurance coverage surprised the law’s advocates. To some degree, it represents a continuation of bitter divisions over the still-unpopular health law. It’s also good short-term politics for Republican state officials looking to avoid the blame for its ongoing complications and contradictions. But one way or another, taxpayer subsidies for new ACA coverage for at least several million Americans will start flowing out of Washington in 2014. The results of the 2012 election, as well as last June’s Supreme Court decision upholding the health law as constitutional, mean that Obamacare’s plans for even more doses of health care subsidies, regulations, and mandates cannot be fully stopped. However, changing the terms of how this happens and reshaping the future nature of our health system remain possible.